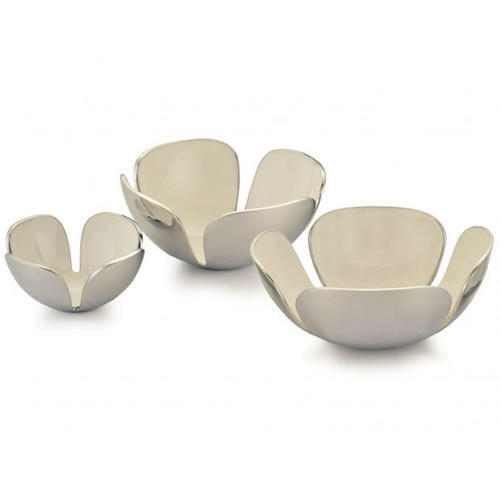 These delightful bowls are crafted from polished aluminium, which is then coated in a glossy, pure white enamel. Their distinctive retro styling makes them ideal as ornamental or decorative pieces, or alternatively they can be used for showcasing dry foods, tasty snacks and nibbles. Buttercup Bowls are available in two size options – medium and large.